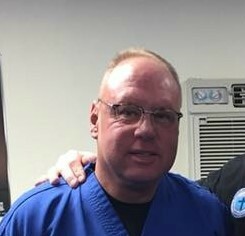 Dear Sheriff Waybourn Former City Council Member Dave Mann of White Settlement and a Tarrant County Deputy is an ignorant man and a dangerous man that's displayed a bias toward a group of Bikers that were at a City Council meeting. They were there to receive a Motorcycle Safety Proclamation that declares the month Of May as Motorcycle Safety & Awareness month. It's been going on for many many years. Bikers / MC's will tell you if someones doing something bad, against the law, put their butts in jail, but quit painting everyone as a criminal, it's just not true. As a matter of fact Law Enforcement suffers from the same ills as the rest of our society. They feel the lure for big money and do something stupid, like turn a blind eye, fact is LE is guilty of more of the crimes they say so called Motorcycle Gangs do than all the 1% MC's put together nationwide. That's a fact. We call them OPO's Outlaw Public Officials. Popeye off Texas Biker Radio News interviewed the Bikers that were there at White Settlement. May 20th 2018 at our local COCI Meeting. Not a single Bandido was there for the Proclamation in White Settlement. Even if they were so what? Does Mr Mann understand there is a 1st Amendment that allows us to meet peaceably, it includes every citizen in this country, not just the chosen few of Mr Mann! He was informed by another person in the room Bandidos were present and they were present at Twinn Peaks May 17th 2015. Another person that has no clue what he's talking about and who would violate the Constitutional Rights of others. It was a clear case of Motorcycle Profiling by a Law Enforcement Officer. He went into a rant because he has been indoctrinated to the Narrative of the DPS / FBI who paint everybody with a broad brush. Everybody is guilty of crimes and collusion in their eyes. He based his opinion on what they were wearing, patches, colors, maybe body art, what they ride, who he "thought" they associate with, true or not. Like Abel Reyna he's following a false narrative that's been put out since the forties. Gang Assessment reports are basically carbon copies from one year to the next, now it's cut paste plagiarize. The problem is it spills over into the Motorcycle community at large. DA Mr Reyna will be no longer in office as of Jan 2019 because of it. You see in the largest Motorcycle Profiling Case in America 200 the public saw past the lies, innuendos and courtroom gerrymandering by the system in McLennan County. A system dirty as hell where everybody has each others backs. We successfully pointed it out to the citizens there. Mr Reyna's case fell apart, mainly because he arrested the innocent along with the guilty and held them hostage for 3 years before droping charges in the last couple of months. The innocent Bikers were never gonna take a plea deal like Abel Reyna was counting on. Now the City is facing Millions in civil suits because of one man's quest for higher office and notoriety. As political activists Defenders of the Constitution and those who's Rights have been violated, we made sure of Abel Reyna's defeat. ​Mr Mann has saved us from that chore with his resignation. We'll make sure he doesn't run for a political office again successfully since he has shown a bias against certain groups. He stated publicly these type events should be for first responders, military and so on. if he would have not been blinded by what he thought were Bandidos he would have seen veterans standing in front of him. What other groups does Mr Mann not like? Anyone that's not part of his world, his thoughts of what a criminal might look like, black, brown, Jews, Christian,tattoos? 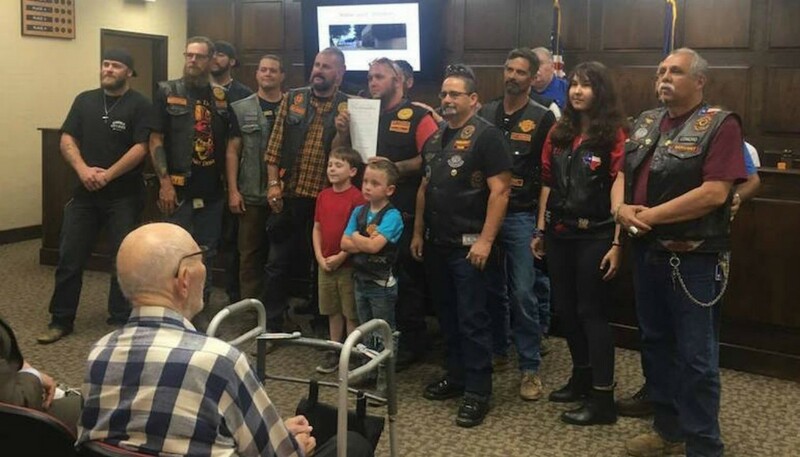 Mr Mann should know that Sheriff Waybourn met with Bikers during his campaign, some of those same bikers he called criminals were at that meeting with the Sheriff of Tarrant County who we supported. We pledge or support to the White Settlement City Council who clearly did not agree with Mr Mann's assessment and saw though the innuendos being hurled in the room with children of Bikers present. ​Even if there were a Bandido in the room he has the right to be concerned about Motorcycle Safety Issues. It's not exclusive to certain groups as Mr Mann suggests. ​Mr Mann complained White Settlement is infested with drugs and prostitution. If he thought that why did he "run" from his post as a City Councilman, work to make things better? Surly as a Law Officer he should understand drugs, prostitution and so on is a Nationwide problem and not just a White Settlement problem if that is really true? I don't expect the Sheriffs Department would punish a Deputy that's so clearly biased and so willing to violate the Constitutional Rights of others by profiling people he doesn't know the first thing about. In the age that law Enforcement can't profile foreigners, potential terrorist it's incredible to see what's happening to American citizens. Riding Motorcycles or not. ​The Clubs In Attendance at the proclamation made by the White Settlement City Council. The Biker that work on Motorcycle Safety issues and Motorcycle Rights are a dedicated lot. We have the right to seek redress and that we shall do in spite of people like Mr Mann. I know Sheriff Waybourn you believe in the Constitution and the rights of the People which doesn't exclude as Mr Mann suggests.